The sound fiscal management practices and commitment to accountability and transparency have earned Special Olympics Southern California a 4-star rating from Charity Navigator, America’s largest independent charity evaluator. Since 2002, Charity Navigator has used objective, data-driven analysis to award a 4-star rating only to the most fiscally responsible organizations. Charity Navigator’s rating system examines three broad areas of a charity’s performance: financial health, accountability, and transparency. The ratings show givers how efficiently Charity Navigator believes a charity will use their support today, how well it has sustained its programs and services over time, how well its level of commitment is to good governance, and how open it is with its financial information. "It’s important that our donors and prospects are able to see that we’re using their donations wisely to serve athletes with intellectual disabilities," said Bill Shumard, President & CEO for Special Olympics Southern California. "We are honored to receive a four-star rating from Charity Navigator as it demonstrates to our supporters our good governance and financial accountability. We will continue to enrich the lives of people with intellectual disabilities and their communities through sports, health, and leadership programs." Special Olympics year-round programs are free to the athletes and their families and lead to improved health, self-confidence, and independence. Along with changing the lives of the athletes, Special Olympics creates more accepting and inclusive communities. "Special Olympics Southern California’s exceptional 4-star rating sets it apart from its peers and demonstrates its trustworthiness to the public," said Michael Thatcher, President & CEO of Charity Navigator. 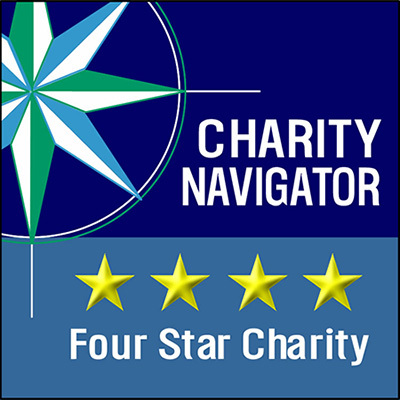 "Only a quarter of charities rated by Charity Navigator receive the distinction of our 4-star rating. This adds Special Olympics Southern California to a preeminent group of charities working to overcome our world’s most pressing challenges. Based on its 4-star rating, people can trust that their donations are going to a financially responsible and ethical charity when they decide to support Special Olympics Southern California." Charity Navigator is the largest charity evaluator in America and its website attracts more visitors than all other charity rating groups combined. The organization helps guide intelligent giving by evaluating the Financial Health and Accountability & Transparency of more than 8,000 charities. Charity Navigator accepts no advertising or donations from the organizations it evaluates, ensuring unbiased evaluations, nor does it charge the public for this trusted data. As a result, Charity Navigator, a 501 (c) (3) public charity itself, depends on support from individuals, corporations and foundations that believe it provides a much-needed service to America’s charitable givers. Visit www.charitynavigator.com for more information.